This premiere wedding showcase is the perfect place for brides and grooms-to-be to get expert advice from wedding vendors in every aspect of the wedding industry. Future brides and grooms can meet with vendors, gather wedding planning tips, explore sample themes and décor, and more. 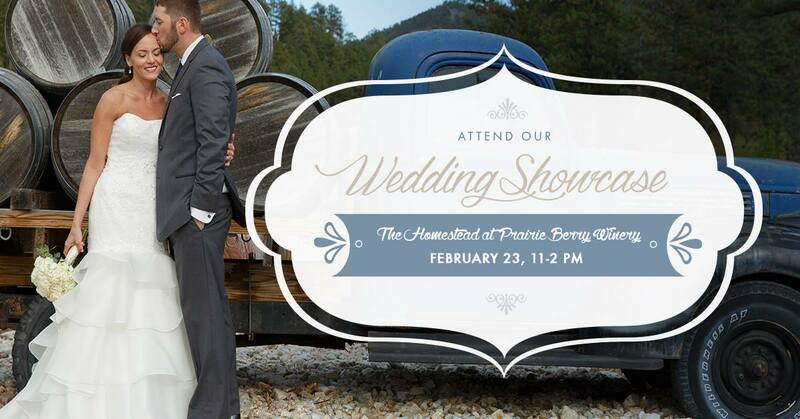 Take a tour of The Homestead and sample wedding menu items prepared by Prairie Berry’s expert, in-house culinary team. Prairie Berry Winery wine and Miner Brewing Company craft beer will also be available for purchase.